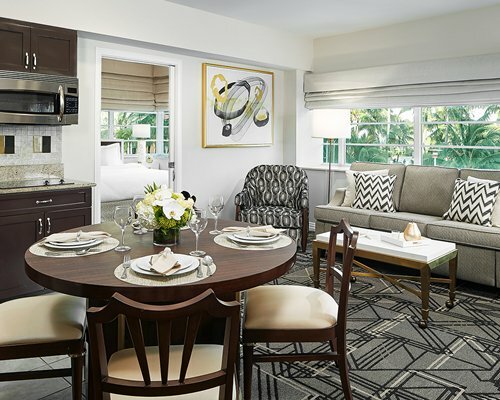 Located within the posh Miami Beach Art Deco district, the Hilton Grand Vacations Club at McAlpin – Ocean Plaza is your link to the "American Riviera." Sights and sounds mingle with oceanside ambience to create the perfect location for water sports, golf, tennis, racquetball, and other activities within a few miles of the resort. 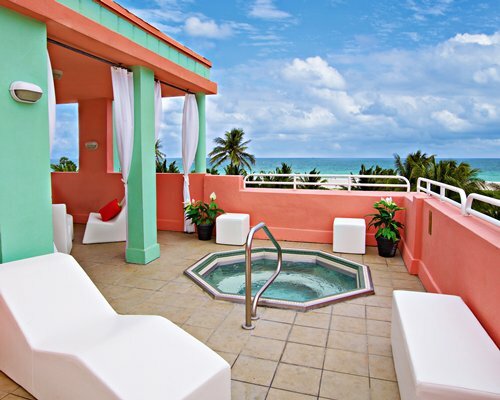 Relax on the white-sand beach, just steps from the resort, or in the soothing whirlpool. Nearby, enjoy a game of beach volleyball or browse through one-of-a-kind shops. As the sun sets, board a luxury casino cruise, located seven miles from the resort, for nonstop entertainment. 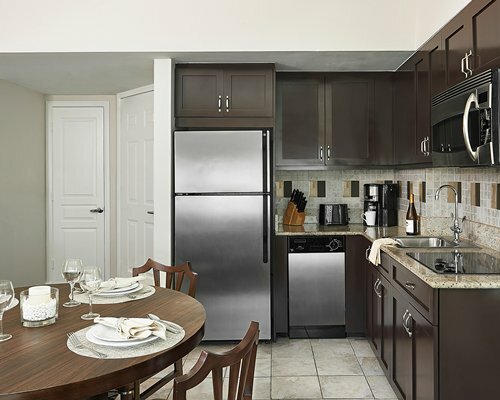 Cozy 1 and 2 bedroom suites, each suite features ovenless, well-equipped kitchen. Housekeeping fees: Points reservation fee ranges from $20 to $35 based on unit size, for less than 7 night stays. 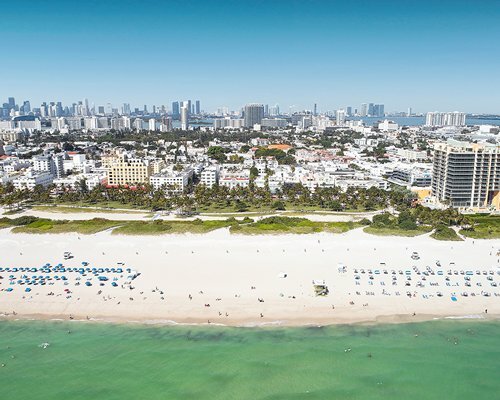 Miami’s South Beach defines urban sophistication, with its al fresco cafes, art deco architecture, mosaic of culture and world-class attitude. 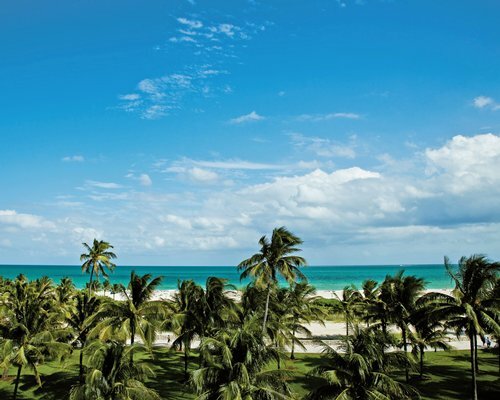 With a premier Ocean Drive address in the heart of South Beach, Hilton Grand Vacations Club puts you just steps away from the neighborhood’s most celebrated bistros, boutiques, art galleries and cultural venues. 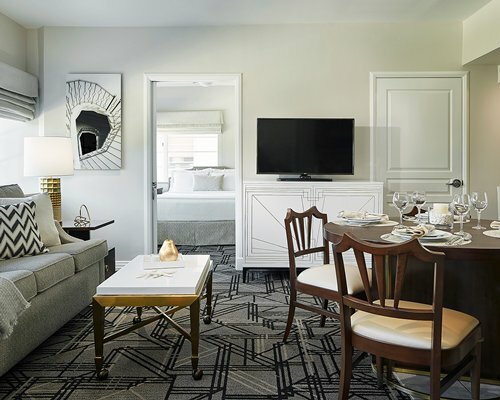 Each stylishly designed suite offers a haven of relaxation that is sure to complement every exhilarating South Beach agenda. As a registered historical site, this distinctive property reflects the timeless appeal of cosmopolitan, international South Beach. From Miami International Airport take Exit 836 East which merges into 395 East, which becomes the McArthur Causeway, which becomes 5th street. Turn left on Collins Avenue. Turn right on 15th street. Turn right on Ocean Drive. Look for "Ocean Plaza" sign on building. Check-in at the Ocean Plaza building. If paid in cash a refund check is mailed out two weeks after stay. 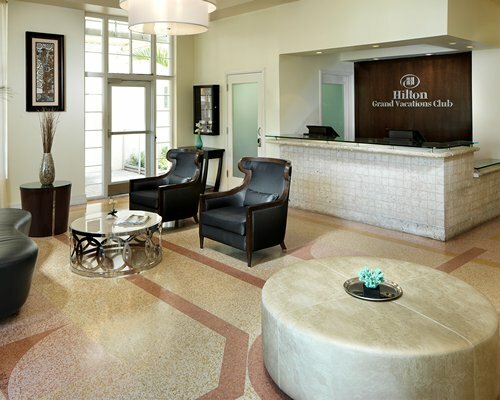 "Housekeeping fee for all RCI points reservations: There may be a 20.00 to 35.00 U.S. dollars for all units, per stay. Cash or Credit is accepted." "Housekeeping fee for all RCI points reservations: There may be a fee of 43 U.S. dollars for 1 Bedroom units, per stay. Cash or Credit is accepted." Fees plus tax applies for less than 7 night stays, effective January 17, 2018. "Housekeeping fee for all RCI points reservations: There may be a fee of 57 U.S. dollars for 2 Bedroom units, per stay. Cash or Credit is accepted." Parking fee is 42.80 U.S. dollars. Cash or Credit is accepted. No onsite parking. Valet fee per day. Motorcycles are not allowed.